I recently was given the opportunity to interview Sarah Beth Durst and read her fantastic new novel - Conjured which will be released on September 3. (Check back tomorrow for my review.) Here is what Sarah had to say. While I haven’t yet had a chance to read everything you have written, I have been struck by the variety of books you write from fantasy like Vessel to realistic fantasy like Enchanted Ivy. Can you talk about that a little bit? Does it help keep you fresh as a writer? I suppose it does keep me fresh. Like working out different muscles, or something like that. But that's not why my books are so varied (e.g. paranormal thriller, fractured fairy tales, epic fantasy). My books are so varied because I have the attention span of a hungry rabbit in a thriving vegetable garden. Ooh, there's a carrot! Let’s eat that. Hop, hop, hop. Ooh, lettuce! I love lettuce! Radishes! Broccoli! Except for me, that translates into: ooh, talking cat! Let's write that. Were-unicorn, yes! Creepy carnival! Desert with sand wolves! In other words, I write what excites me. And a lot of stories excite me. When did you begin writing and how did you learn to be a writer? I have wanted to be a writer for as long as I can remember. I wrote my very first not-for-schoolwork story in fifth grade. It was a cross between the Wizard of Oz and G.I. Joe. I learned to write simply by doing it a lot. That's actually one of the beautiful things about writing: you can try and try again as much as you want. This isn't true of many other things. Brain surgery, for example, doesn't have nearly as many do-overs. Tamora Pierce. Charles de Lint. David Eddings. 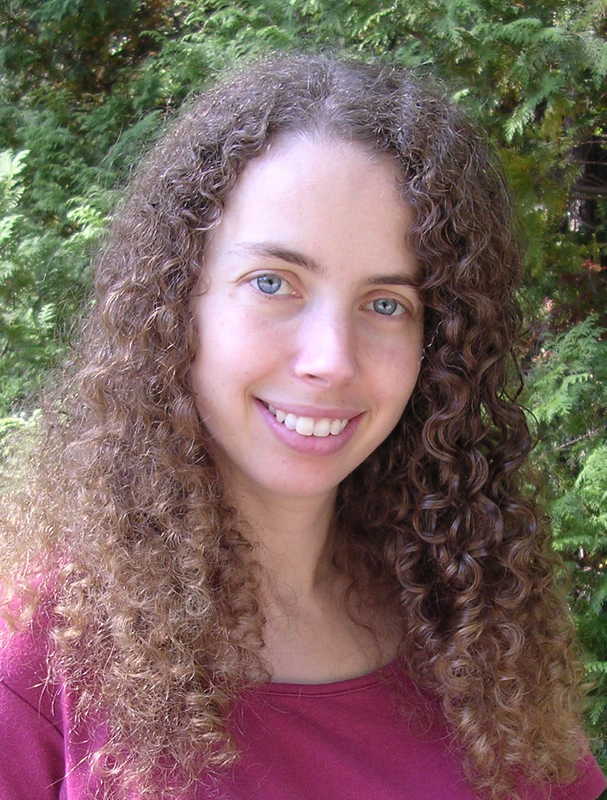 Mercedes Lackey. Terry Brooks. Bruce Coville. Robin McKinley. Diana Wynne Jones. Diane Duane. Patricia C. Wrede. Patricia McKillip. Jane Austen. I am a sucker for girl-with-sword, girl-with-talking-cat, girl-with-wolf, girl-with-awesome-powers-or-a-quick-wit kind of stories. I wish I could say I write someplace exotic or interesting, like on a beach or at the top of a mountain or inside the Temple of Dendur, but really, I write at home at a desk (preferably with a bag of Raisinets next to me). Do you do your writing on paper or on the computer? On the computer. I type a lot faster than I write long-hand. Also, I find that I do a lot of my thinking while typing. Sometimes I don't know which way a scene is going to go until it comes out of my fingertips. Where does a book begin for you? A character, an idea, a scene? It varies from book to book. 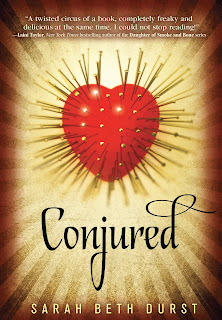 With CONJURED, my next YA book, I knew I wanted to write about a girl in the paranormal witness protection program. But I didn’t know who she was at first -- because neither did she. At the start of CONJURED, Eve has no memories and a ton of bizarre powers. Developing her back story -- and her discovery of it -- was a wild ride. I do outline (see my answer to the next question below! ), and so I did know where I was going with Eve's story, but there was still room for tons of discovery on the way. I'm a plotter. If I don't plot, then I'm distracted by shiny ideas mid-stream and go hopping after those ideas and end up with dinosaurs eating everyone. Much safer for everyone, including the dinosaurs, if I plot. Seriously, though, I find outlining to be very useful in crafting the full journey of the story. But I also find it just as useful to sometimes ditch the outline and hop after those dinos. An outline should be a tool, not a prison. I have been hearing lately of authors who make scrapbooks or collages about books they are writing. Do you do anything like that? Ooh, that sounds fun. No, I've never done that. I have been known to make Excel spreadsheets to track details. Sometimes they’re color-coded. See the same list above. Probably the most influential was ALANNA by Tamora Pierce. I read that when I was ten years old, and I remember thinking, "If Alanna can become a knight, then I can become a writer." What is the first book you remember reading by yourself? No idea. I feel like I came out of the womb reading. But I'm guessing that's probably not true, because ouch. Favorite writing beverage? Water. I know, I know, boring. But I do always have to have a glass of water next to me as I write. Also, Raisinets. Summer or winter? Spring and fall. But if those aren't options, then summer (so long as there's a working air conditioner around). I don't like to be hot, but I LOVE how long the days are. Dogs or cats? Cats. I love dogs too, but there's not much better than curling up with a book and a cat.